The human body has a remarkable ability to control its movement. 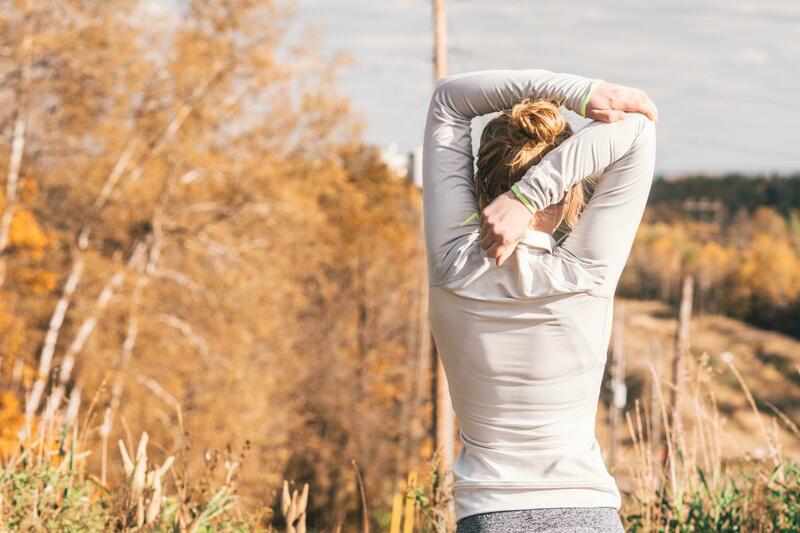 Now, a new study from the Department of Human Health and Nutritional Sciences reveals how different systems work together to preserve that control, even in the case of muscle fatigue. Abdominal and back muscles are very important for maintaining proper posture. Prof. Steve Brown and PhD student Dennis Larson sought to determine how postural control would change if either muscle group was highly fatigued. They found that study participants had less control of their upright standing posture regardless of which muscle group was fatigued. Interestingly, this effect didn’t last long – in fact, participants regained postural control after just two minutes of rest. “I was very intrigued with these findings. We weren’t expecting them to regain postural control that quickly,” says Larson. To reach fatigue, young adult participants contracted either their back or abdominal muscles for as long as they could. Then, they stood on a platform that measured any swaying - the more tired they were, the more they swayed and the less postural control they had. Previous research on posture hasn’t focused much on abdominal muscles, but this study showed that both the abdominal and back muscles are important for maintaining upright stance. Compared to abdominal muscles, back muscular fatigue caused the greatest decline in postural control. However, Larson points out that abdominal muscles are still important for postural control. The researchers also observed that the fatiguing tasks did not appear to have a major impact on proprioception, which is our ability to sense where our body is in space and so that we can reposition ourselves to a more stable stance as needed. This result was unexpected, but Brown and Larson suggest that the proprioceptive test that they used may not have been sensitive enough to observe significant changes. The study emphasizes the body’s extraordinary capacity to regulate movement. When the muscles themselves get tired, the body relies on other sensory systems to kick in, such as the balance centre in the brain. This switch allows movement to continue to be controlled and is crucial for reducing the risk of injury, especially to the back and spine. As the Canadian population ages, future studies will need to determine the impact of aging on postural control. Currently, scientists know that the systems involved in movement control are affected with age, but the exact details have yet to be discovered. “For now, it may be a good idea for people to rest for a brief period after a fatiguing task so they can avoid injury,” says Larson. Read the full article in the journal Human Movement Science.